I agree with robot ears. Such a great Silent Hill. Awesome game indeed. I tried to explain my best why I love it as a part of the series. this is by far my favorite in the series. i like how it is tied in with the first game(which happens to be my 2nd favorite). the characters, the creatures, environments, soundtrack, everything about this game is awesome to me. i dont see why anyone would call it the "worst" but oh well to each their own i guess. Silent Hill 3 is my favorite of the series, since it manages to nail the atmosphere, music, and characters down very well. The fact that it's the oddball installment that actually continues the story of a previous game also makes it rather unique. My biggest gripe with the game is how short it is. See, that's the thing. Once you've played the others and learned a bit more about the series in total perhaps your opinion will differ. On the other hand, this topic is quite old and now there are many SH games that are much much worse than Silent Hill 3. It's kind of ironic how long this thread has existed, and that it's now mainly used to praise Silent Hill 3. Well, I've met very very few Silent Hill fans who don't like 3. Most of the fans I talk to seem to love 3. While 2 still seems to widely be considered the best in the series, I think enough people consider 3 the best in the series that it's a pretty strong second place. For good reasons too, many of which have been stated. It is my favorite in the series, though beyond knowing 3 is my favorite, I can't really place any of the other games in any specific spot. Between the atmosphere, characters, story, music, and gameplay- it all just comes together much better than any of the other games to me and is much more enjoyable as a whole than the rest. So even though SH2 may have a better story and the other games may have some things about them that may be a bit better in execution, SH3 just comes off more balanced without having some huge flaws that truly stick out like the other games to me (it has flaws, just none that are as big as the other games in the series to me). Also, it seems like many who consider SH3 to be bad are typically the SH2 fans (not to be confused with fans of the series in general who happen to like SH2 the most). I know what you mean. While I wouldn't quite go as far as to say SH3 is my favorite in the series, it's an impeccably designed game, and there's so many outstanding things about it. I can totally see why it could be your favorite. For me, personally, I go back and forth on 1 and 2 as my favorite, and it's hard to choose... although, I will say that Heather is my favorite protagonist, at least. yeah i definitely agree, i've only played 2 and 3, currently working on 4, but i can definitely see why so many people praise 2 and 3. They both have really strong elements going for them, that make them different but in a good way. And as you can see, I put Silent Hill 3 in the lowest position of the 1st category. That's not because it isnt a good game, because it is! In fact it is an awesome game and has an extremely high level of replay value. But the story is terrible and can not compare to the sheer magnificence of the stories in SH1 and SH4. That's why I put it there. However compared to the games in the 2nd category, of course it's better. That's why it's so difficult for me to answer the question "Is Silent Hill 3 the worst game in the series? ", because, YES, back in 2005 it used to be the worst. But now, that's really hard to say. Last edited by Jonipoon on 11 Jun 2014, edited 1 time in total. Calling SH3's story terrible is a big exaggeration, IMO. I actually think it's pretty good, it just happens to be a bit underwhelming compared to the awesome stories in the other 3 games. It lacks drive in the first half, and feels a bit too much like a retread. It has some good characters though, and I think the themes of pregnancy and revenge were an interesting mix. Overall I think the story is a bit underrated. 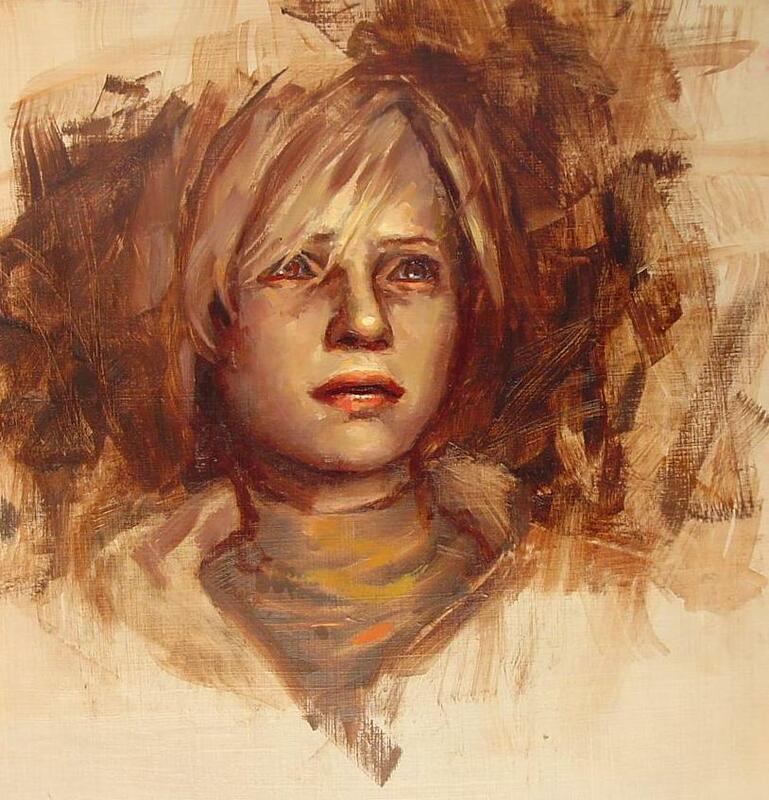 But what makes Silent Hill 3 great is not so much the story as how well all the other elements of the game are realized. The amazing art direction, area design, atmosphere... I also think it has the most polished gameplay of the series, not only outdoing the first 2 but SH4, and every western attempt to "improve" the gameplay. Overall, I think it's a significantly better horror game than SH4, despite SH4's awesome story. That's just me, though. The only reason I like SH1 and 2 more is because those games are also superb in the music/art direction/atmosphere categories, and also happen to have much better storylines. So that's why I'd rank them SH1 = SH2 > SH3 > SH4 > Everything afterwords. That's just me, though. It isn't the worst; but it is one of my least favorite games. I love it's art direction. It also has amazing sound design. The level design is superb. Everything feels and looks great. It's just that I find the story so bland overall; not to mention it has the most annoying enemies of the SH games besides Downpour. I think it's obvious so far that when it comes to doing the list, SH3 is an eyesore, as you can't just sort it anywhere. The biggest problem is definitely its weak basis/story, but at the same time with an extraordinary performance (which is personally one of the best in the seires). And you can't ignore none of them. I also wouldn't base the game's value within the series on it's story alone. For me personally, SH2 and 4 have the best stories in the series, yet SH2 became dull to play for me after seeing everything a few times (or at least compared to SH3 anyway) and SH4 was always a chore to play to begin with, which put both down on my list. SH3, while not the best, or at least most complex, story in the series or in general, still has a charm to it for me. The journey itself, and more importantly, the characters (along with everything else I mentioned previously) bring me back even to this day, and the gameplay has never gotten very stale. No game will be perfect, but it's why I brought up the fact that SH3, to me, has a very nice balance. Because honestly the story is not as bad as SH4's gameplay, and these are still video games in the end. You do kinda have to get through the gameplay anytime you want to revisit what you may like about the game. It's probably the only reason I put SH2 right under SH3, because I just enjoy it more overall as a complete experience in the end. But this is also why opinions are fun. Chances are, SH3 being the first I actually played through (thus it having the most impact) has something to do with my view of it. whilst i don't think this is the worst game in the series by a stretch, it left me feeling underwhelmed certainly. both the story and the main character were enough to mark this down in my books. that was another thing i didn't like in this SH. the locations. i didn't like the amusement park nor the shopping centre, which make up a big portion of the game. also i felt going back to the Hoespital again was a bit of a cop out. i understand it related to her story, but they didn't need to you go through a whole hospital and alternate hospital again. we've been here before and its lost its charm. also didn't like the fiery alternate corridors etc where you couldn't even see the doors, just looked a mess to me. the graphics were nicely improved imo from SH2, not drastically but subtle enough to make a good difference. the overall context of the game was very dark and graphic i thought, thumbs up in my books. the play through was also much harder than SH2. enemies did more damage and you couldn't avoid all enemies like in most of SH2. so made it more challenging which was good. overall, definitely not the worst in the series, but having a character i couldn't care less about means i couldn't immerse myself as much in it as other games in the series. although i didn't quite understand the flying spinning monsters. what relevance did they have to anything/? Did your opinion or views of Heather never change over the course of the game when she is faced with some very difficult situations or is forced to drop her guard a little bit? I don't know that you can hold the aimlessly walking around bit against it, considering that is a pretty large part of most of the games. Once you find where you need to be, things start clicking, but that bit of exploration is something I was quite fond of in the games, for better or worse.